Put on Your Eagle Eyes to Help Spot Eagles! San Bernardino, Calif., January, 2012– On Saturday February 11th, the third bald eagle count of the winter will be conducted around lakes in southern California and your help is needed! During the January bald eagle count, grand total of 11 to 13 eagles (7-8 adults and 4-5 juveniles) were observed at the lake areas during the 1- hour period. The number of bald eagles in southern California typically starts of low in December, peaking in January and February, and tapers off in March. Please join us for the bald eagle counts this winter in order to learn about eagles, help with the long-term study effort, and possibly get a glimpse of our beautiful national. There are two remaining Eagle counts for this winter, scheduled for the following Saturday mornings: February 11 and March 10. Mark your calendars now. No experience needed. Volunteers should dress warmly and bring binoculars and a watch. Big Bear Lakearea volunteers will meet at 8:00 a.m. at the Big Bear Discovery Center on North Shore Drive. Contact Robin Eliason at 909-382-2832 for more information. Lake Arrowhead/Lake Gregoryvolunteers will meet at 8:00 a.m. at the Sky Forest Ranger Station. Contact Robin Eliason, Wildlife Biologist, at 909-382-2832 for more information. Silverwood Lake State Parkvolunteers should contact the park office for information during business hours of 8:00 am to 4:00 pm at 760-389-2281,and plan to meet at the Visitor Center at 8:00 a.m.
LakeHemetvolunteers should plan on meeting at the Lake Hemet Grocery Store at 8:30 a.m. for instructions. Contact Ann Poopatanapong at 909-382-2935 for more information. Lake Perris State Park volunteers should contact the park office for information at 951-940-5600, and plan to meet at the Lake Perris Regional Indian Museum. 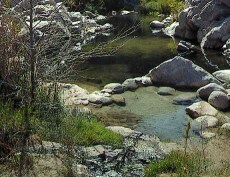 For additional information about the San Bernardino National Forest, please visit: http://www.fs.usda.gov/sbnf.